Welcome to EARTH TALES! A series of interviews and ‘Tales from the Earth’ from inspirational people whom are making a stance in the travel world and animal kingdom. We’ll be interviewing poignant people from travel & wildlife photographers, film makers, explorers, conservationists, biologists and adventurers. 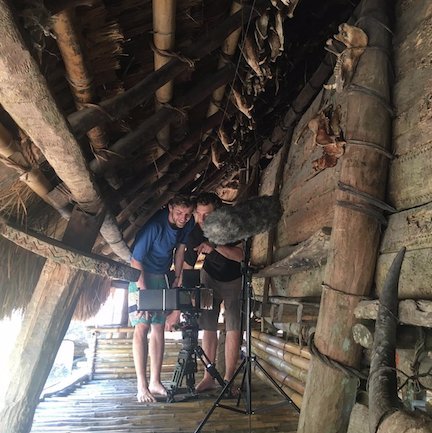 Tom’s company ‘Gripping Films’ produce innovative films specializing in stories, discoveries, creations and conflicts that emerge when humans and the natural world meet. You may have heard of some of the well-known films they have developed and produced which have also received multi winning awards such as - Saving Planet Earth, Kangaroo Dundee and Inside Natures Giants. Other acknowledged films include, ‘Giraffe - Africa’s Gentle Giants’ + ‘The Bat Man of Mexico’ both narrated by Sir David Attenborough which won many awards as well as nominated for an Emmy. Tom was also shortlisted as a TED fellow for pushing the boundaries of documentary television. His latest creation is prime time documentary ‘Humpback Whales - A Detective Story’. The story derived when a 30-ton humpback whale breached and landed on Tom in Monterey Bay, California. Incredibly, Tom survived but the near-death experience haunted him so much, that Tom returned to California to find the whale and learn if it was deliberately trying to hurt him. Through his investigation - a beautifully captured story is created. We loved this film so much, we watched it twice. A definite must-see by all! BW: Tom, you’ve directed many poignant films focusing on wildlife and the natural world, which have won many awards. What inspires you to film wild animals and the natural world? TOM: I've always loved the natural world and wanted to tell other people about the things I'd learned or seen so that they could experience that wonder as well. I trained as a biologist at Cambridge University, thinking I'd become a scientists and graduated to become a conservation biologist. I started to realize that perhaps I could have a bigger impact storytelling about the natural world and learnt how to make films. My aim is to help stop the destruction of the natural world, and to connect people to how marvelous the rest of life on earth is, ideally both at once. BW: We loved watching the film ‘Humpback Whales - A Detective Story’ . How long did it take to film? What message did you set out to tell through the film? TOM: Thank you! It was quite a short film to film - we shot it over two shoots of about one month each. But I'd been researching the whale community of Monterey Bay on and off since my whale experience 3 years before, so in another way it took quite awhile to make. I set out to try to find a whale to tell a story about a community united around a common obsession and love for a wild animal species, and to try to make a mosaic out of lots of varied scenes and humans that was more than the sum of its parts. BW: Tell us about your experience with the Humpback Whale that jumped at you? TOM: I was on holiday with a big bunch of friends in Santa Cruz and went to visit some scientist friends in Monterey Bay, they recommended I go on a whale-watching kayak trip so I did, the next morning, with two friends from my gang. We'd seen lots of whales and turned for shore and were almost back at the harbor when a Humpback whale breached very unexpectedly out of the water nearby and landed on top of us. I had time to think that I was going to die as it came down on us, and then underwater I realized that I wasn't dead yet and somehow we both survived totally unhurt. BW: Having learnt so much about Humpback Whales, what are they like in personality ? TOM: As a species Humpbacks are known for being very lively. Compared to other whales they do a lot of surface behaviors like breaching, tail slapping, pec slapping and spyhopping. For a large baleen whale they are quite sociable and seem to cooperatively feed and associate with other whales very often (although they aren't as social as toothed cetaceans like dolphins or orca). Individually I think that they seem extremely varied in personality. Some appear uninterested in boats and people, others seem to come and check you out. Some seem to hang out with other whales more and others keep to themselves. The local whale watchers know many whales by name from not just their physical characteristics but also from their behaviors - they know who a whale is likely to be from where a whale is and what it is doing. BW: What was the most inspiring part of making the film ‘Humpback Whale - A Detective Story’? TOM: Filming the women and men who risk their lives to find and disentangle whales caught in fishing gear was humbling. They are extremely competent and tough, and the work is hard and often thankless and depressing, but their commitment and team spirit was extremely impressive. BW: Which project or film had the most impact on you personally and changed you as a person? TOM: I think probably making a short film about my godfather Harry, who is a composer, had the most impact on me. I just wanted to show people the sides of him that I found most wonderful and interesting, and I had no idea if it would work and was scared it would be crap. People liked it, and friends of his told me that I'd done a good job of capturing his Harry-ness. This was a relief, and also a great encouragement to keep trying the kind of storytelling that I was developing. It's probably only been seen by a few thousand people, but it was very important for me and I loved making it. The film is called ‘Harry Birtwhistle - Notes From The End Of The Garden’. Click HERE to watch. BW: If you could film anywhere in the world or film anything, where would it be and why? TOM: I'd love to go to the bottom of the sea, I'd love to see the deep sea whales like the Sperm Whales and other deep diving marine mammals and see their lives in that totally different world. BW: Your films tell stories about where humans and the natural world meet, how would you ultimately like to inspire people and help change the world through your films? TOM: I want to make people care, and I want to show that things can be done to help and show how. I want to champion and amplify the people who are already doing good things, and I also just want to connect people to the awe and wonder of the natural world that I have been fortunate to experience. 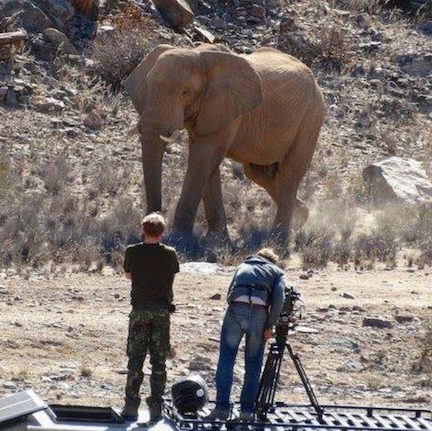 BW: What was the most touching experience you've ever encountered filming a wild animal? TOM: I worked on a film about a man who rescued orphaned kangaroos and spent a lot of time with the baby roos. Often I'd carry them around inside my shirt and that was wonderful. We designed a camera that could be put into the pouch of a rescued female kangaroo who knew and trusted the Kangaroo expert and she grew to accept us and gradually let us film inside her pouch. It was very strange to have my hand in this different world and sea the baby, the size of a jelly bean, growing inside. I filmed with her over 5 months and eventually filmed the joey leave the pouch and head off into the world by himself, that was pretty incredible. BW: With today's current climate and challenges that are facing our earth, how do you feel about these matters and are there any examples you have seen that had an impact on you whilst filming? TOM: I honestly don't know where to start. They all have an impact and sometimes it can feel overwhelming. Writing above about wanting to go in the deep sea, I did think to myself - 'what if I got there and it was full of rubbish?' But you can't allow yourself to be paralysed by the awfulness, there is still so much wonder and so many people working to preserve it. BW: For anyone reading this who would like to get into film making and pursuing their dreams - what advice would you give them? TOM: Do it. 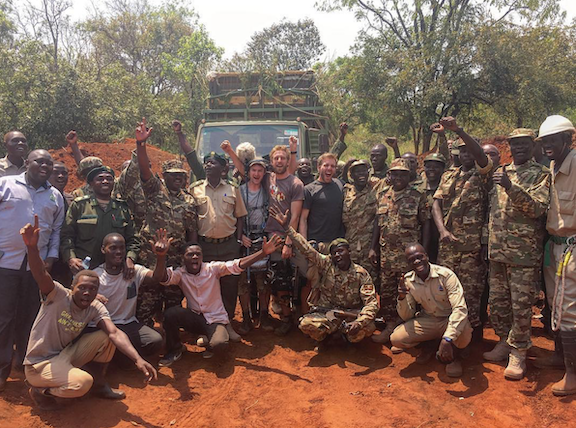 Not only is it an extremely satisfying career full of adventure and creative opportunity, there has never been a time where wildlife and conservation storytelling has been more needed. It isn't rocket science, if you persevere, have a sense of humor and don't mind being uncomfortable or not being sure what you'll be doing in 6 months, you'll be fine. If you are inspired by Tom’s story of the Humpback Whale and want to do more to help whales and dolphin’s - check out our extraordinary trip to Scotland where we will be supporting leading global Charity -WDC, Whale and Dolphin Conservation to help end captivity for these beautiful creatures.